Yup. 15 year old me wanted Cutler bad that year. In their defense though, Bulger was coming off a good year where he was healthy and he was just resigned. Eh, whatever. 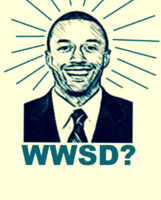 I trust McVay. Sounds like a win-win to me. Have to imagine we'll get him more involved this year or we wouldn't have kept him. Free agent to be. Was originally scheduled to make about 9mil a year through 2021. I like Tavon so I’m ok with him staying. He is still a threat on offense. As much of a threat Watkins was in terms of drawing coverage, defenders have to respect Tavon on design plays as threat just in case he gets the ball. Plus if Tavon gets his confidence back on special teams he is still a threat. I read a really good article on this on FB today talking about the value difference between Tavon vs Sammy. Where we basically struggled all season trying to find a role for Sammy and couldn't really find one vs Tavon filled quite a few roles and didn't need to "find" one, per say. Tavon also displayed one heck of an attitude through it all and taking pay cut to remain a Ram really confirms the dude's character. I like the versatility and dynamics he can bring to our offense and I trust McVay and Co. to utilize Austin even more this year. People forget that while McVay was installing his offense last season in OTAs and minicamp, Tavon was hurt missing time. He really never got the important parts of the offense like Woods and Kupp did. I think this offseason will not only motivate Tavon but it will be refreshing to him to get in and get things going in his second year in McVay offense. Plus having guys like Talib and Peters will help not only him but the other receivers be better when they challenge them in practice everyday. I, like most of us here, have been a big advocate of us getting rid of him. But for the amount he'll be getting this year, I don't have a problem with it. I still don't anticipate him being much more effective as a true receiver, but he'll still be an effective gadget player and decoy. He was definitely a valuable decoy last year and it certainly helped a lot of Gurley's runs. With all of that said, he is what is is as a receiver--below average. But he'll still have a place and use on this offense, be it sparingly or not. Tavon is a great person. I just wish he had a better mind for football. This deal is fine, we save the same amount of money we would have by cutting him and it turned into a one year deal, no real loss here. 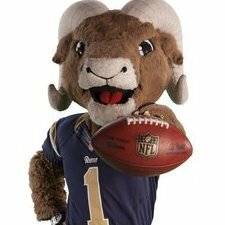 He is not going to replace Watkins on the outside. Don't try to convince yourself he will.